VICTORY DAY congratulations ! Happy 6 October ! 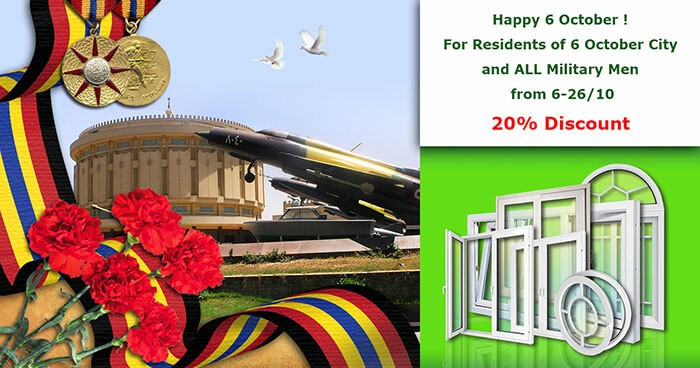 Only twenty days in October for residents of 6 October and ALL military men 20% discount on all types of windows. Order and pay from 6 to 26 October ! *This special offer is valid only if ordered and paid from 6 till 26 of October 2018. Order is completed only with white color profile with any kind of glass or glazing.